When you review enough tools, you start to notice how different brands are able to release new products so consistently through little tricks and add-ons. Add a rafter hook here, or a different battery pack there and you have yourself a “new for 2018” tool that’s essentially the same old song and dance. So when I received this DeWALT FLEXVOLT Combo kit two things immediately hit me: 1. 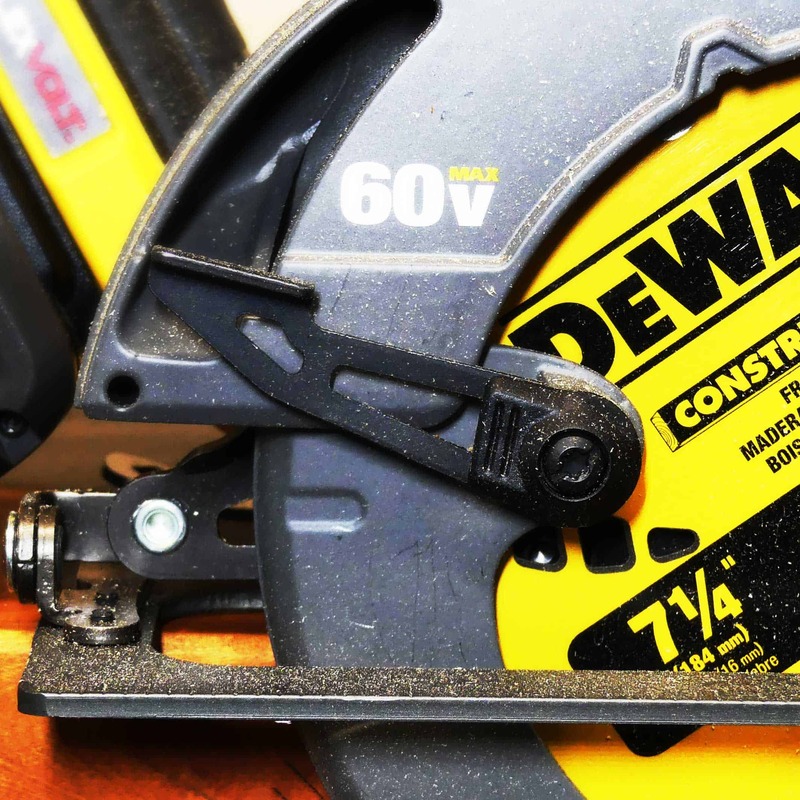 I reviewed this DeWALT Impact Driver a few months ago and 2. the Circular Saw looks almost exactly like the DeWALT 20v Max XR Circular Saw I reviewed last year with a new paint scheme… so was it? So on the surface, when you set the DeWALT 20v Max XR (*affiliate link) next to the DeWALT FLEXVOLT 60v Max you’ll realize fairly quickly that these two come from the same mold. Literally. While the XR has a shiny metal finish on the shoe and blade guard, the FLEXVOLT has a matte gun metal color. Both run 7-1/4″ blades, both have an electronic brake and both can run the same battery platform with nearly identical cuts per charge in the 330 range. But there are slight differences too. The XR has a slightly deeper 90 degree and 45 degree cutting capacity, but it’s almost negligible. Meanwhile, the FLEXVOLT is running 300 more RPM’s at 5800. So what gives? Is this the same Circular Saw or what? No, they are different, but just barely. So why would you need to get this Combo Kit? Consider this for a second, both saws perform almost identically when I ran them through the same pressure treated material. They both have a good feel and run well if you’re cutting 2x’s or even sheet goods. 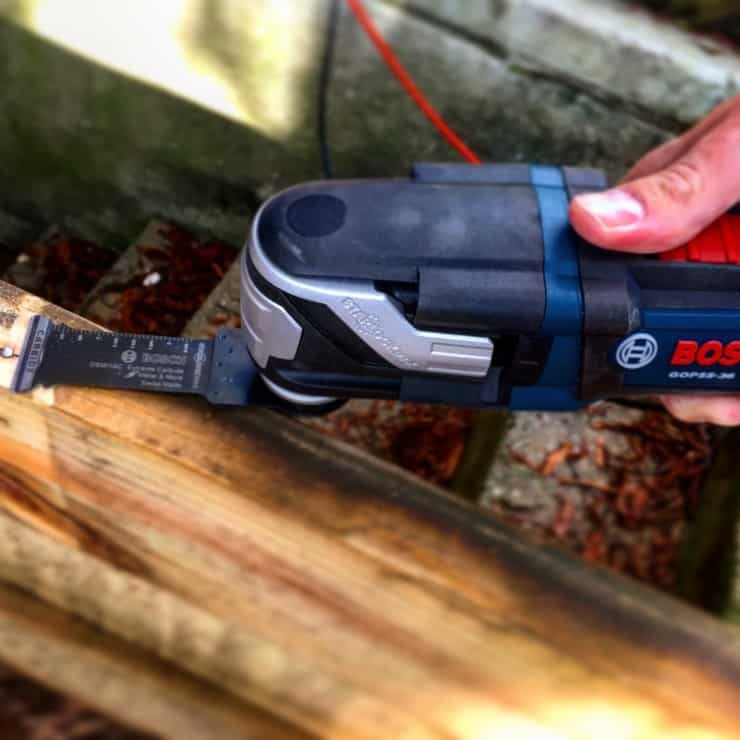 I was happy with the XR on my deck demo last year and only had a few slight cases of bogging down under difficult cuts (by the way, that’s a safety function used to save your batteries from overloading). They both a very good saws, but the XR will cost you around $170 as a bare tool. 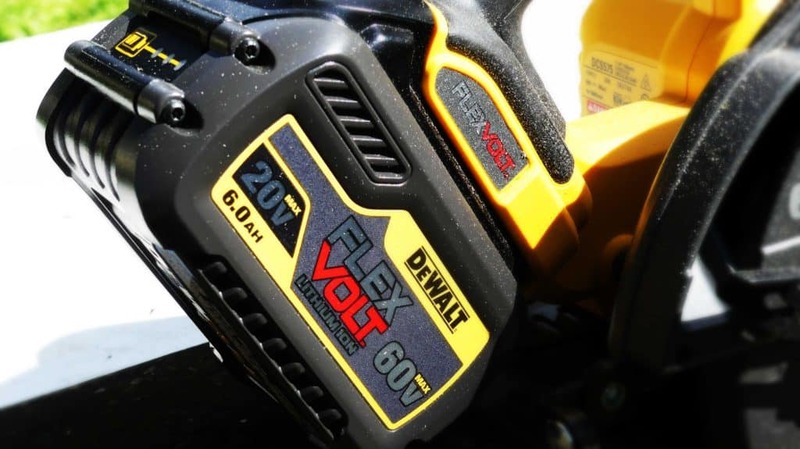 With the FLEXVOLT, you’re paying just under $300. Wait what? How is that better? 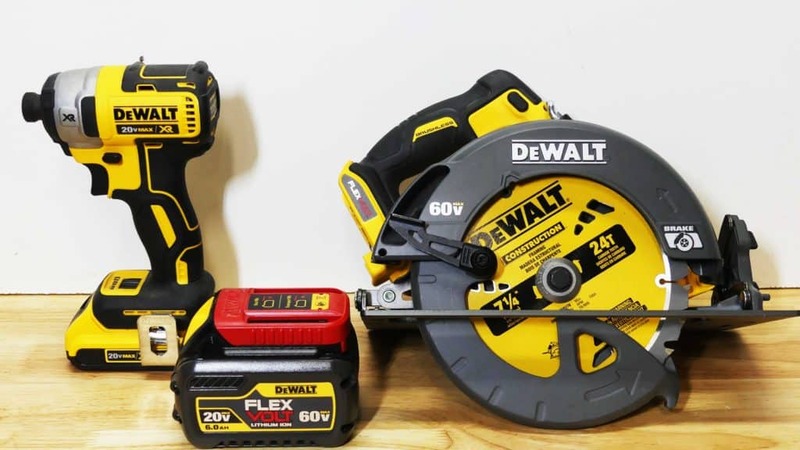 Don’t forget you’re getting a Circular Saw with more RPM’s (plus a cooler paint job), a battery charger, a 20v Max XR Impact Driver (with 2.0Ah battery) and oh yeah… a 6.0Ah 60v FLEXVOLT battery. Here’s the math on that… FLEXVOLT Circular Saw ($179) + Impact Driver w/ battery ($219) + 6.0Ah 60v Max FLEXVOLT Battery ($149) = $547. Math has never been my strong suit but that’s heck of a deal for a Combo Kit, but having a 6.0Ah FLEXVOLT battery that can run on the 20v Max, 60v Max and 120v Max lines from DeWALT is worth the price of admission. What About The Impact Driver? As I mentioned above, I actually reviewed this Impact Driver as part of a Drill & Driver Combo Kit Review a few months ago. It’s a solid offering in the busy world of Impact Drivers that will tackle any task you put in front of it. It has more of snub nose design that you’re starting to see from other brands so it’s great in tight spaces. 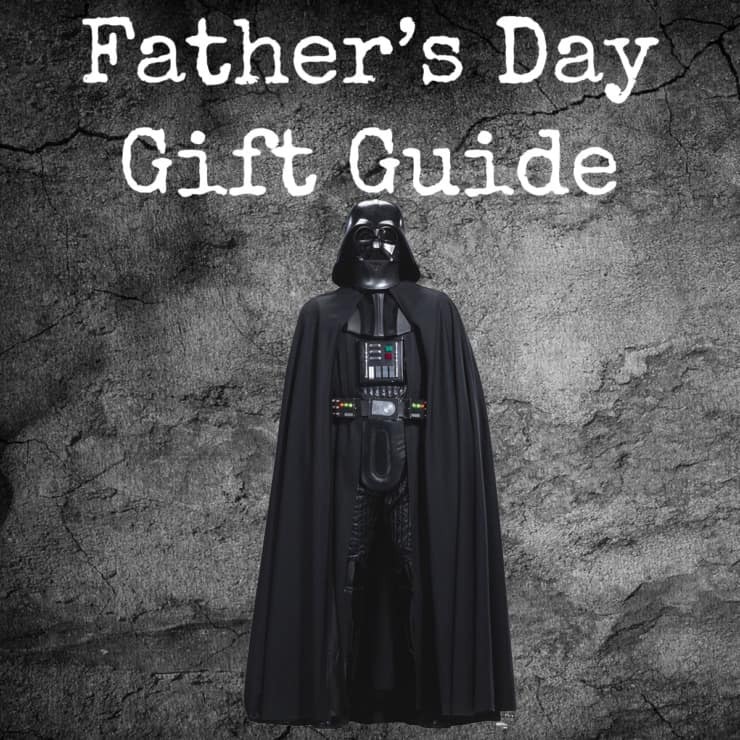 Make sure you check out the full review to see if it’s a good fit for you! It honestly comes down to the value of the kit here. If you’re looking to expand or upgrade your current tool selection, you can’t go wrong with the value you get from the Circular Saw, Impact Driver and especially batteries that are included. 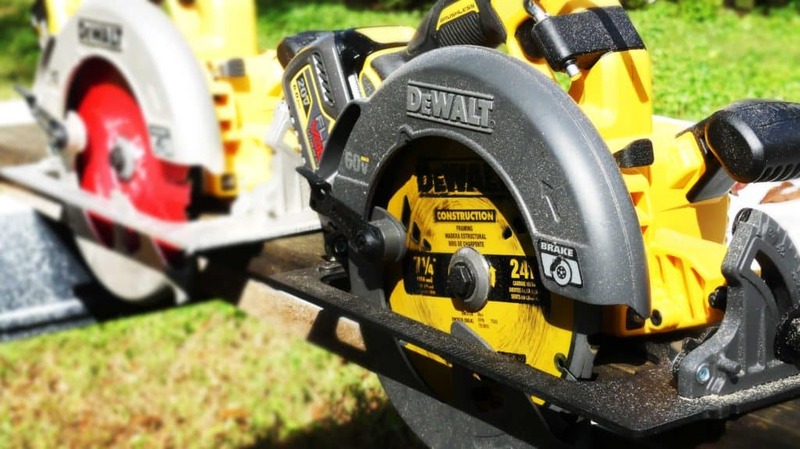 It’s not the most powerful saw offered from DeWALT, for that you will want to check out the Wormdrive Circular Saw, but honestly, most people won’t need that kind of power or price tag that comes attached with that model. All in all this is definitely a winning Combo Kit from the DeWALT Tough crew. Love Team Yellow? 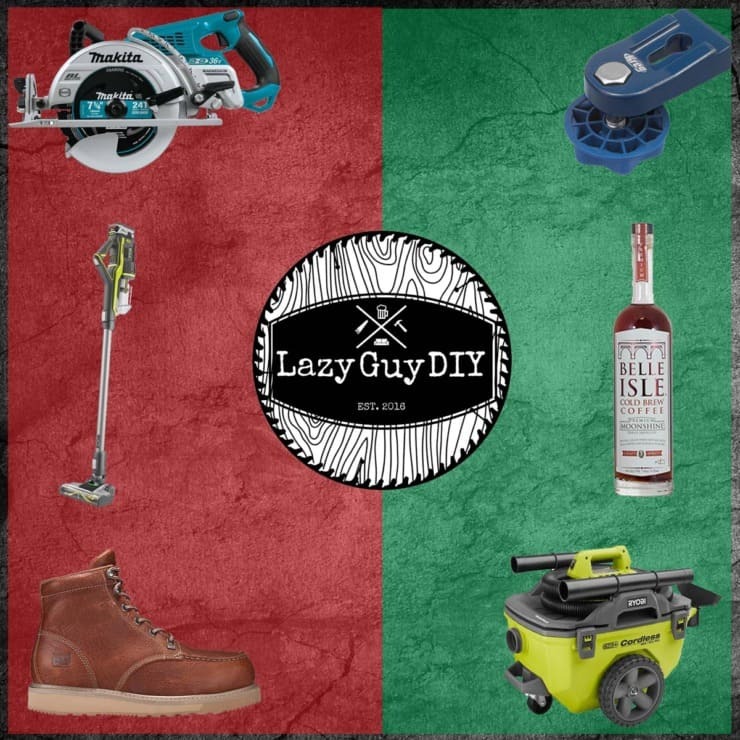 Check out more reviews of DeWALT Tools On Lazy Guy DIY! *This post has been sponsored as part of The Home Depot Pro-Spective Tool Review Program. I’ve been compensated for my time and provided with product in exchange for my opinions on these tools. My opinions are my own.